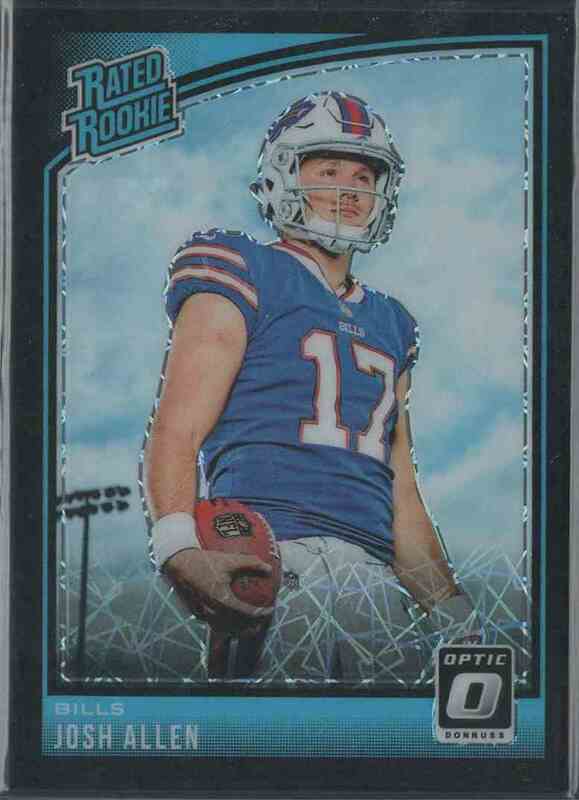 This is a rookie Football trading card of Josh Allen, Buffalo Bills. It comes from the 2018 Panini Donruss Optic set, card number 154, serial numbered 22/25. Refractor. It is for sale at a price of $ 90.00. Welcome to Yates270 trading cards store. I opened Cardz 4 Days on Friday, March 22, 2019 and I have 54 cards for sale. Please note that I ship from USA.